Good morning! Hubby is finally home from China safe and sound. And soundly sleeping at the moment. 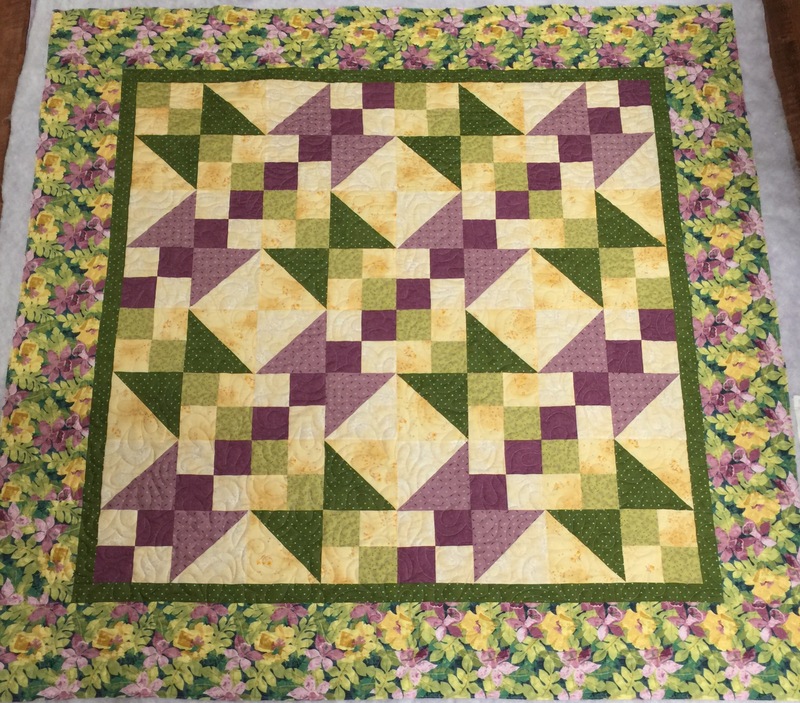 I finished quilting a top for my guild’s Comfort Quilts group this weekend. These ho to the local women’s shelter. Believe it or not, that backing is lavender! Cameras are funny things, especially when you are taking pictures of a solid color. It wants to make it white. 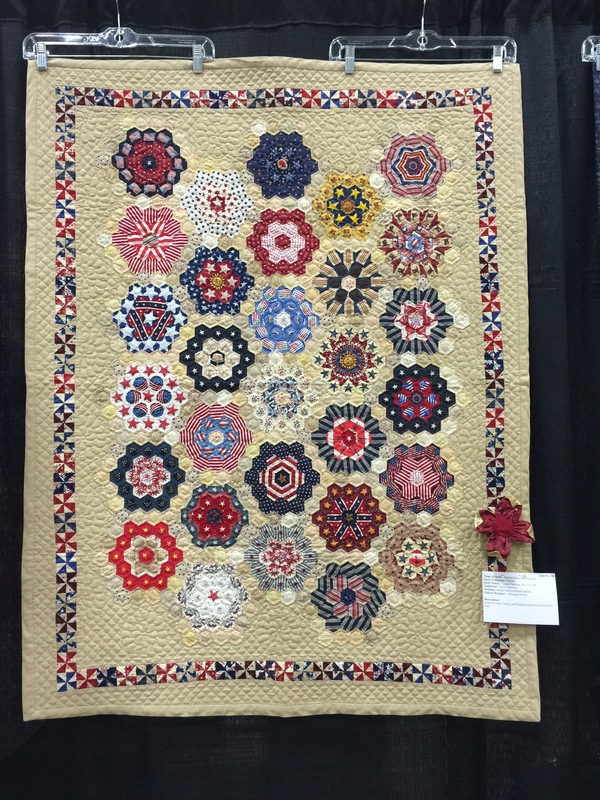 I forgot to show one more quilt from the show that I loved. These heroes were about a half inch. And here is my slow stitching pike for today. 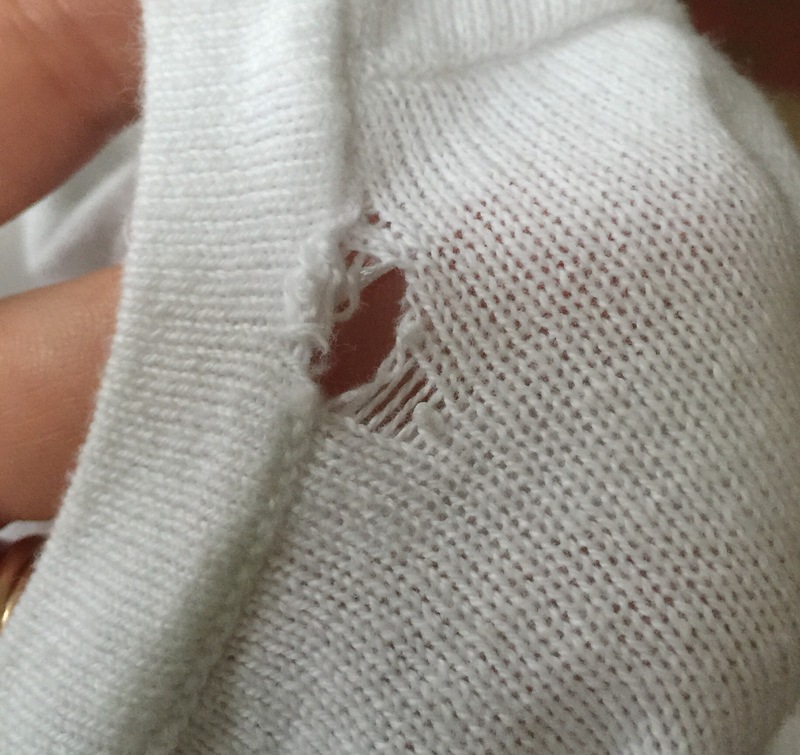 I’m going to try to mend that white sweater on top. I washed it once and this happened. Grrrrr! After that, and only after, I will sew some hexies for Brinton Hall. My progress has been pitifully slow since getting back from our trip. I just don’t watch TV when hubby is gone. Time to get ready for church. Have a great day! 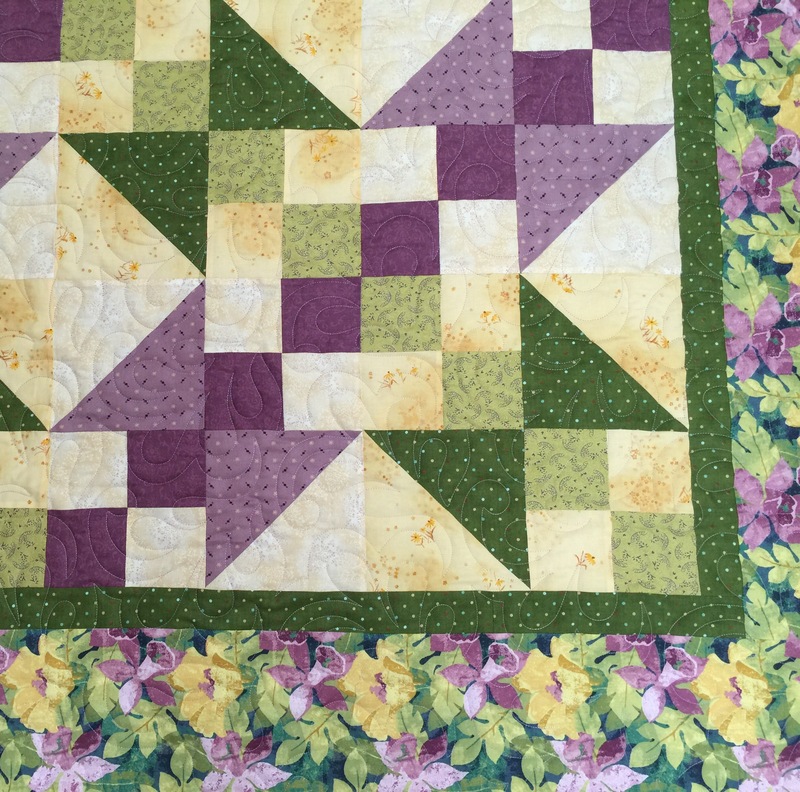 I really like the green and purple quilt. Looks like it would be a perfect pattern for donating quilts. 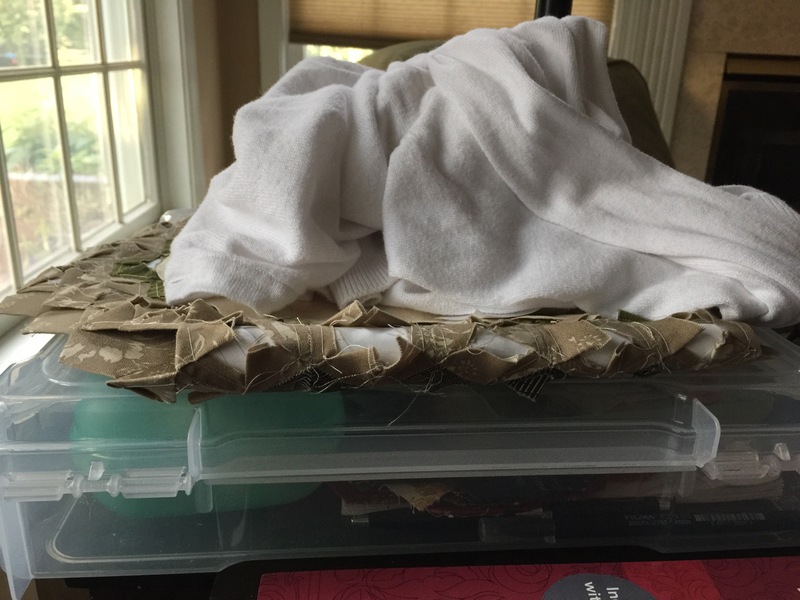 Could you share the approximate size of the finished quilt or the quilt blocks themselves? Thank you! Love that hexie quilt … just love the fabrics, the fussy cutting, and the design of the quilt. Just not sure that I could work with such small hexies. 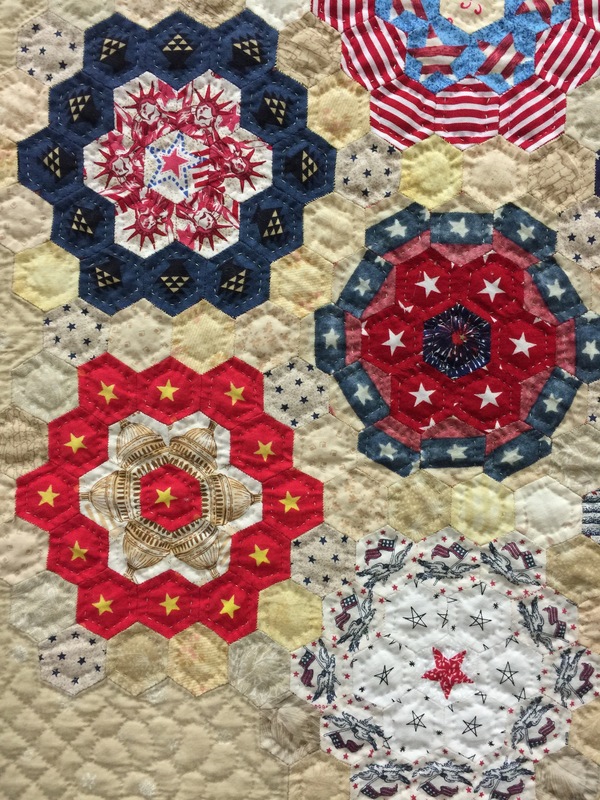 Love the red, white & blue hexie quilt! Makes me want to switch from 30’s retro fabrics and make one of those. I saved the pictures to my Pinterest account. Love your quilt. I think I have some fabric that would be perfect to make one too! 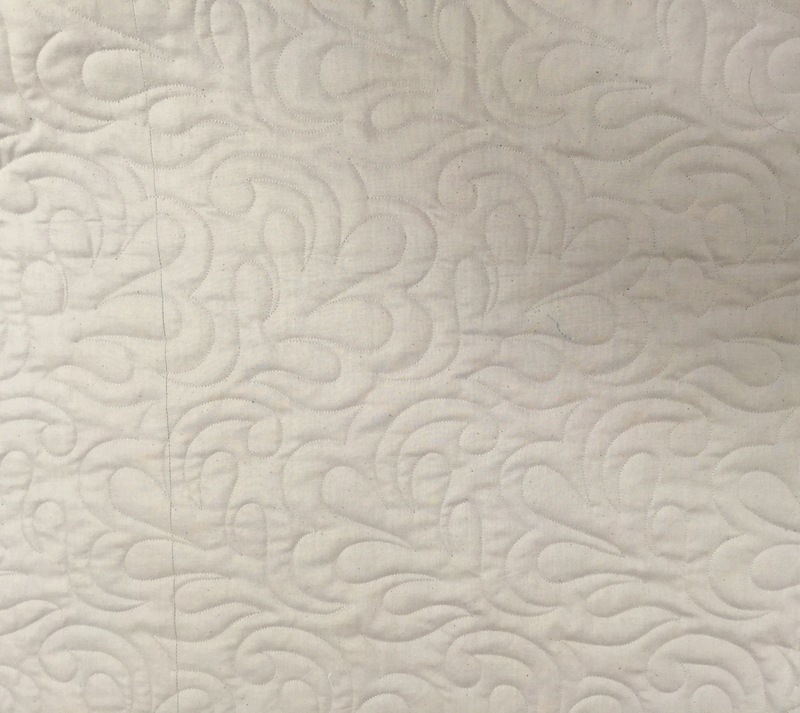 The quilting is also lovely. 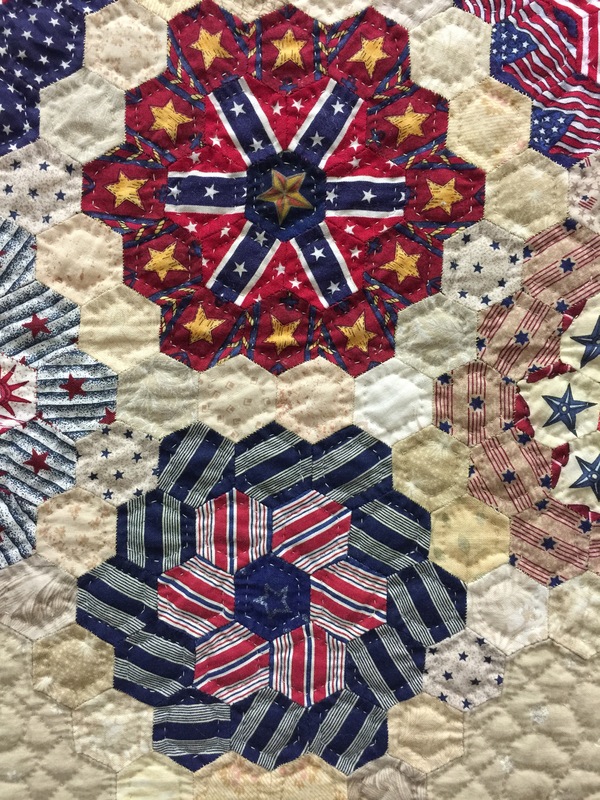 What a beautiful quilt and for such a worthy cause. Sure to bring happiness to someone very special in need of a quilty hug.